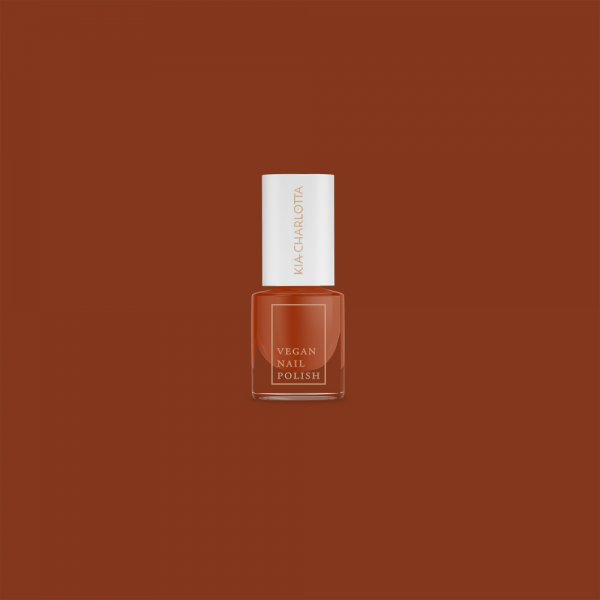 This beautiful Terracotta shade is THE color of fall and will go perfectly with all your autumnal clothes. The name has been inspired from the power of learning and how curiosity can take you to amazing places. Not everything has to interest you and it won’t. Ask yourself questions about you or the world and be critical. Whilst finding answers you might just find your passion as well. I know I had zero clue about veganism and animal cruelty before I started to ask myself some serious questions and I am so happy I did. For example, Kia-Charlotta is one of the results of my ongoing curiosity. ›Learn‹ can also be found in the nail polish trio ›Happy Habits‹.